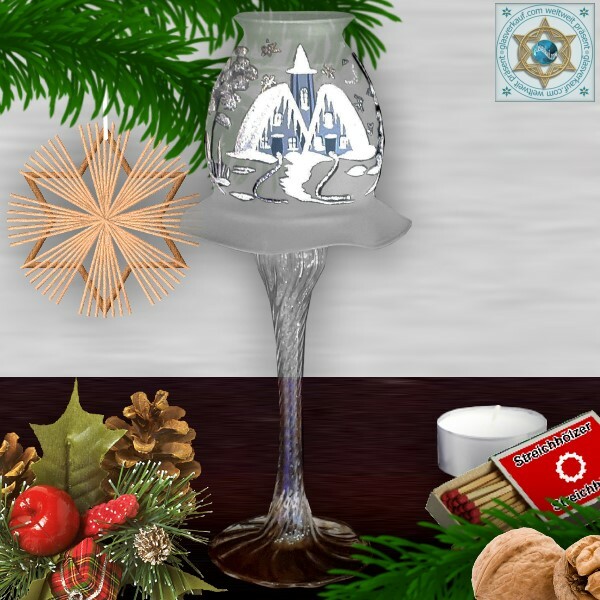 Our hand-made glass products Christmas decoration windlight for Christmas with lampshade 2 variants with motif winter village or dream wave silver from our series frost made of Lauschaer glass, brings you the right Christmas spirit into your home. 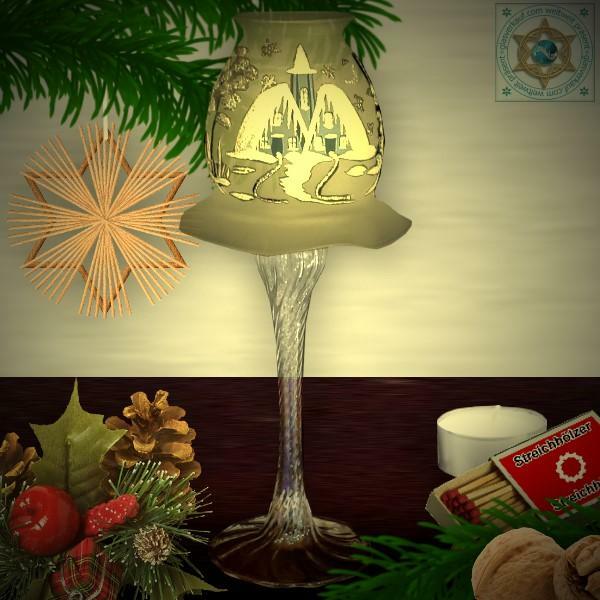 The hand-painted lamp shade with Christmas motif is removable. As illuminant is a tealight. This is secure in the holder, which is incorporated at the end of the stand foot.